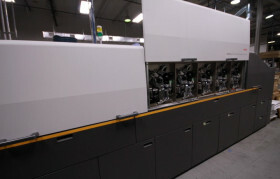 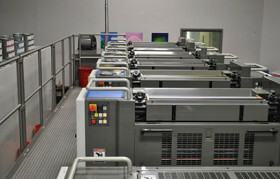 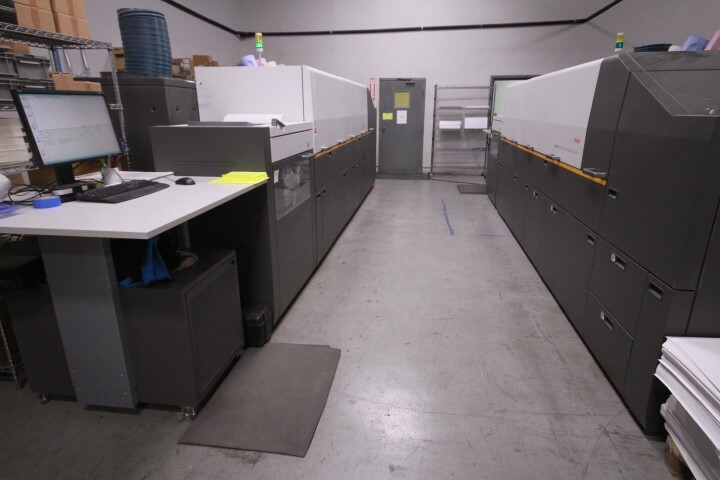 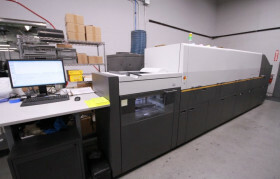 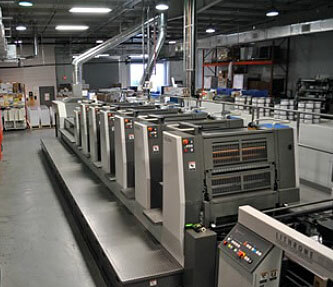 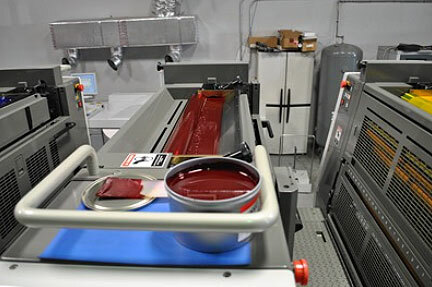 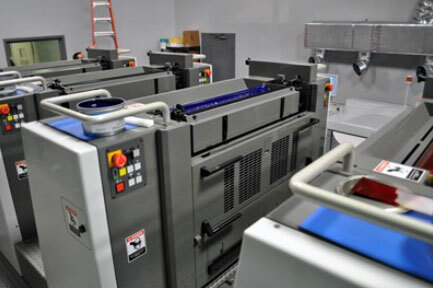 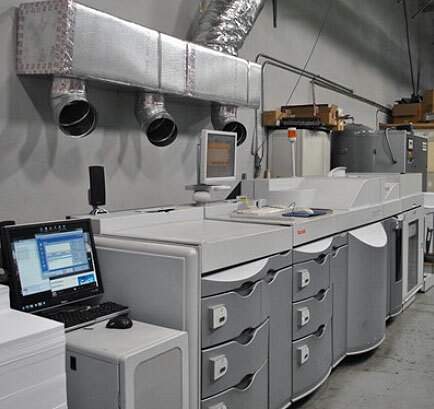 The KODAK NEXPRESS 2300 and 3900 Digital Production Color Presses deliver over 6000 A4/letter 5/0 sheets per hour (100 pages per minute). 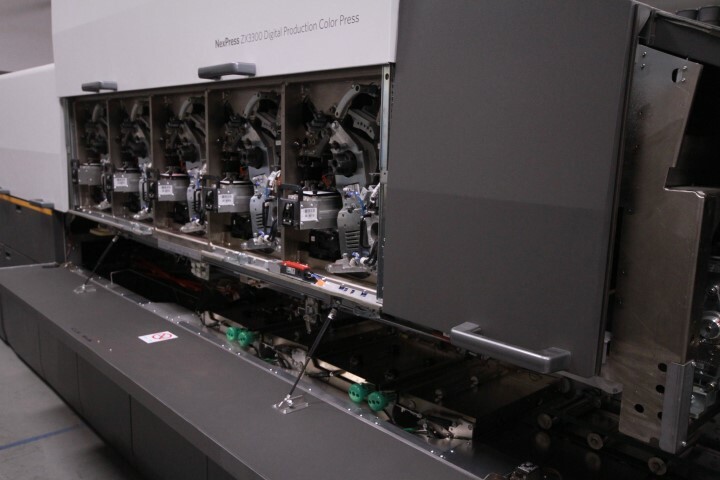 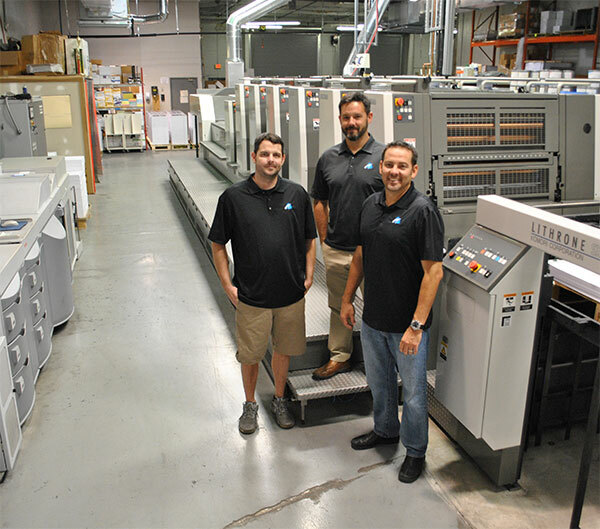 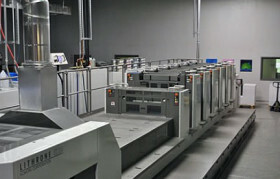 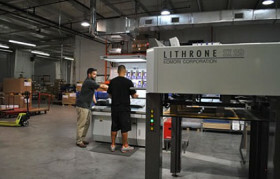 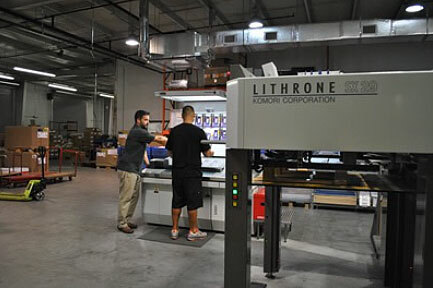 With variable data capabilities, these presses are an excellent entry point to digital printing, with excellent image quality, a unique business model, and the support of award-winning KODAK Service and Support. 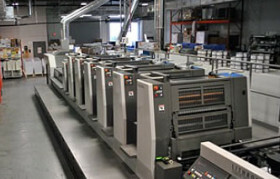 KODAK DIGIMASTER EX150 Digital Production System, at 150 images per minute, gives you full production power and flexibility to take on a broad array of high-value, high-volume applications, and deliver them with the quick turnaround, superb print quality, and the broad range of finishing options your clients demand. 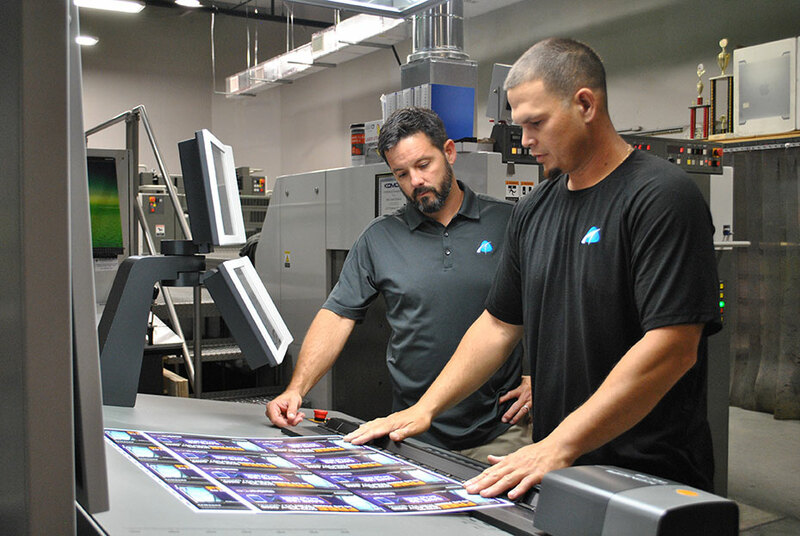 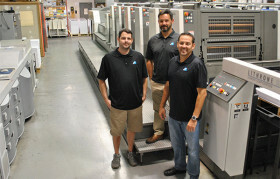 VP Shane Cosser and Lead Pressman, John Anderson, at the Komori LSX 29 printing press. 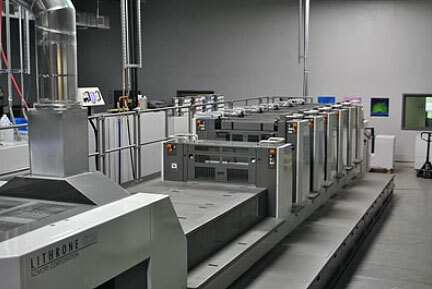 Improved performance in areas such as print quality and competence with a range of paper thicknesses as well as special options that enable in-line added value printing. 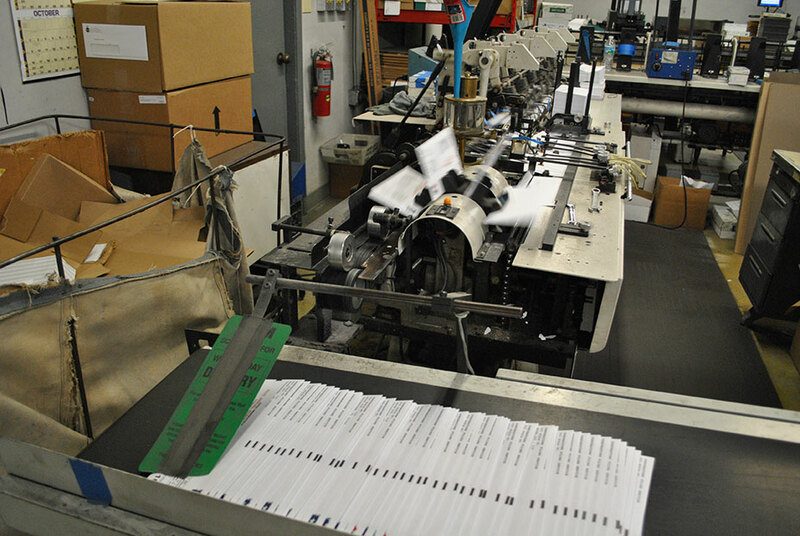 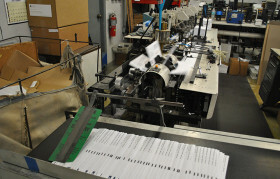 Inserts direct mail pieces into envelopes; capable of inserting 1 to 6 inserts into an envelope #10 up to a 6 x 9. 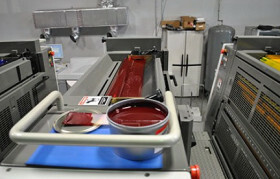 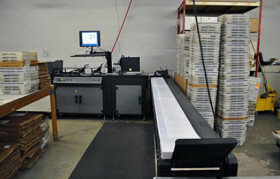 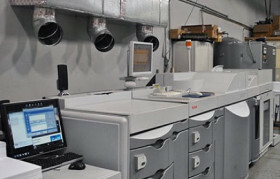 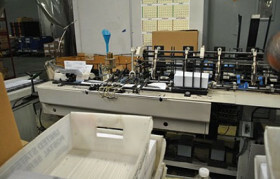 Part of the Ink Jet unit that addresses direct mail pieces. 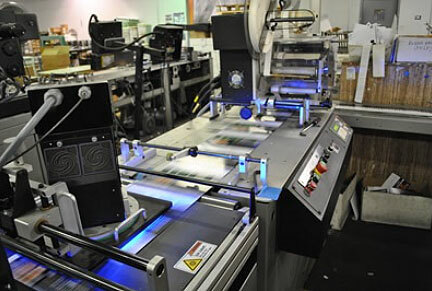 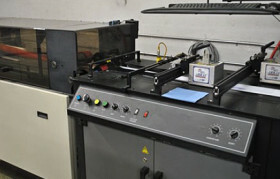 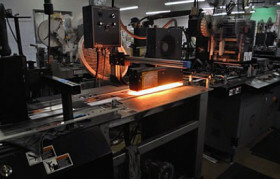 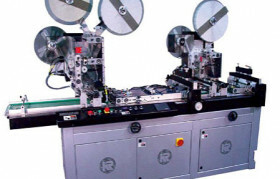 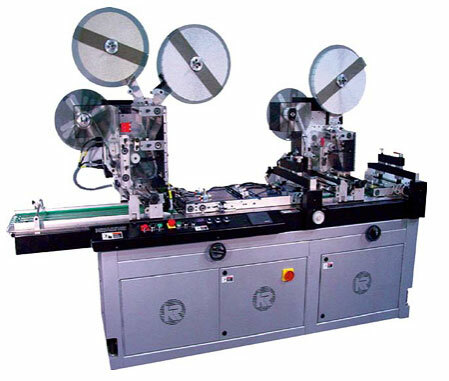 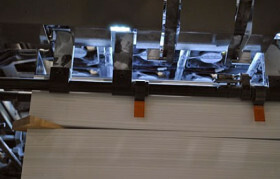 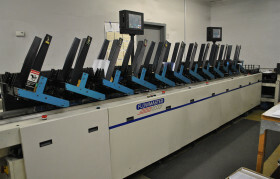 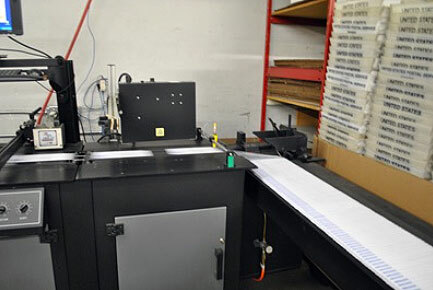 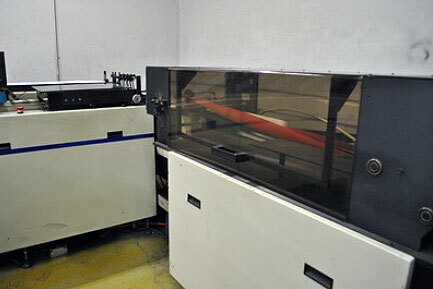 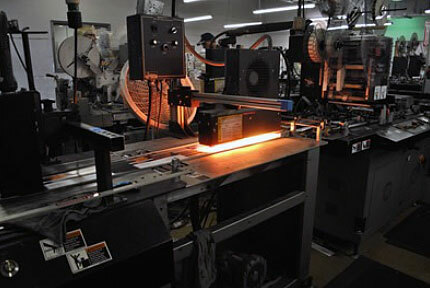 12 Pocket Inserter with Ink Jet inline with camera system and direct addressing inline. 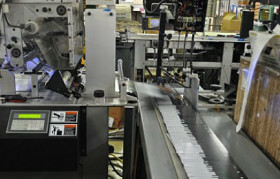 Tabs direct mail pieces inline with address unit. The KR545T 3 Tabbing Unit has allowed us to do that and much more. 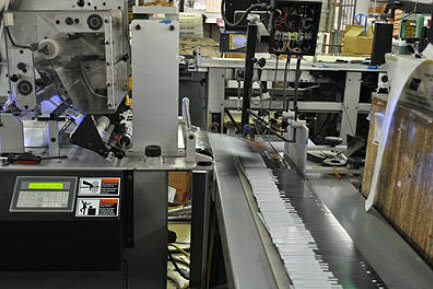 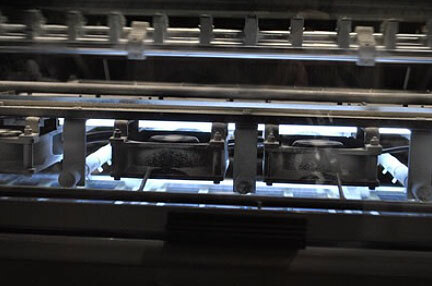 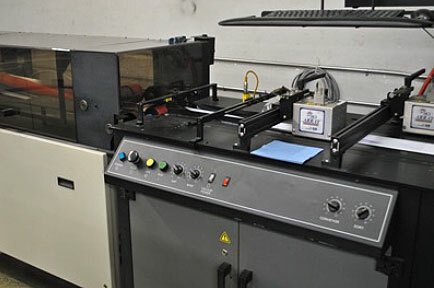 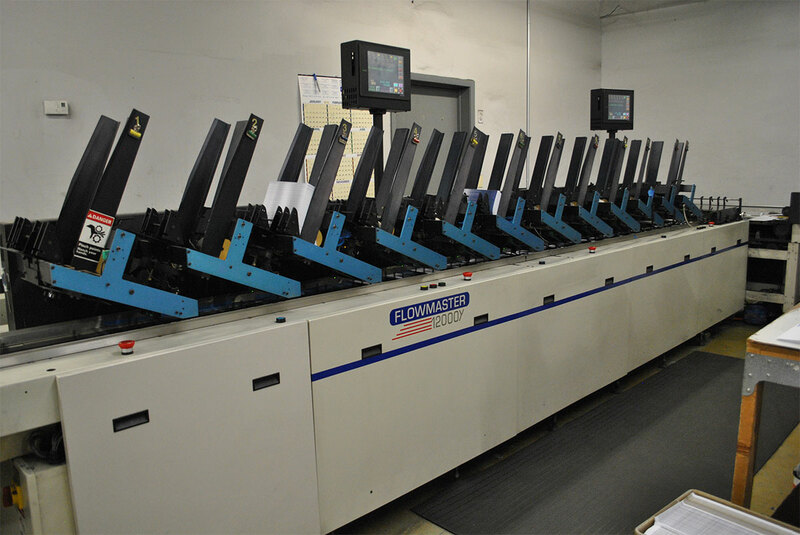 This model can apply tabs up to 3 sides in a single pass to meet the new USPS specifications for Self-mailers and booklet tabbing regulations, along with the ability to run all major types of tabs as well as pressure sensitive stamps and labels of various shapes and sizes.